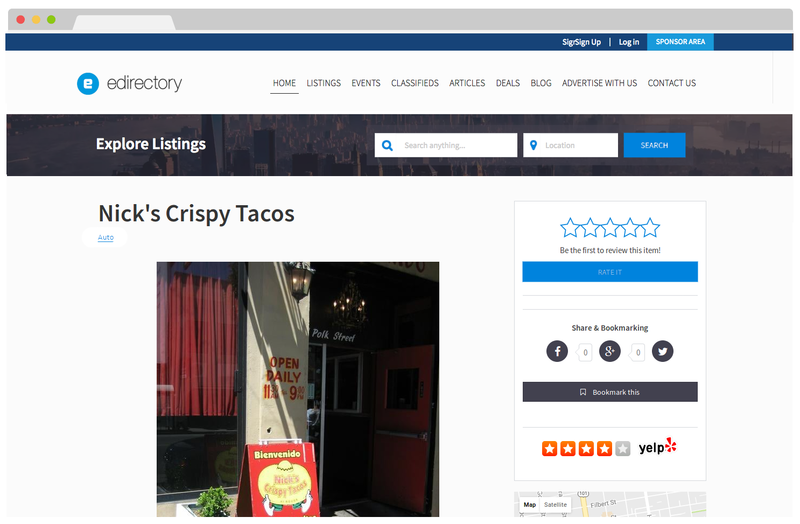 Enhance your eDirectory content with Yelp ratings, reviews, and up-to-date business information. 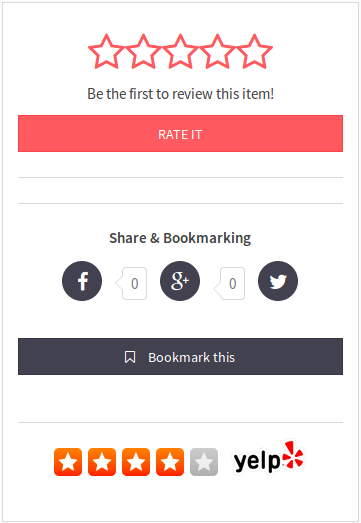 Enhance your directory content with Yelp ratings, reviews and up to date business information. When a listing is loaded, a call is made using the listing title and location to pull in Yelp ratings, reviews and basic business information. This information will be displayed along with your own content, giving the user more detailed information and a better experience. The mod has a caching mechanism to ensure calls to the Yelp API do not degrade page load time, and because the Yelp content is displayed along with your own content it should not have a negative impact on SEO. Notes: The Yelp API has a limit of 25000 requests per day limit, and only allows pulling the latest three reviews. Please contact us if you have a high traffic site and want to learn how to have this limit increased. This mod is currently only for the website and mobile website, and Yelp content will not be displayed on the android or iPhone apps at this time. This mod relies on the Yelp API, and eDirectory is not responsible for changes to their service or terms, or your compliance with their terms, which may affect mod functionality.